It was only just a handful of years ago where we were all running around the playground in jelly sandals. Who's happy they're making a comeback? I'm loving all the jelly that is perfect for summer and running around. 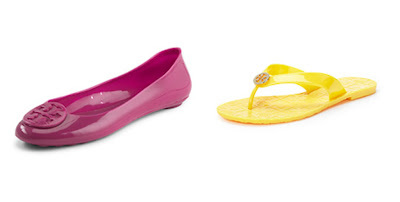 Tory Burch introduced her Jelly reva flats last year that come in the most adorable of summer colors. Something new she came out with this season is her basic Thora sandal in jelly as well! 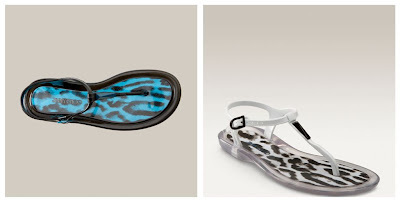 Jimmy Choo is also following the jelly suit with their 'Maui' Jelly Thong. The turquoise color is a perfect compliment to your summer denim or your turquoise Chanel polish on your toes! 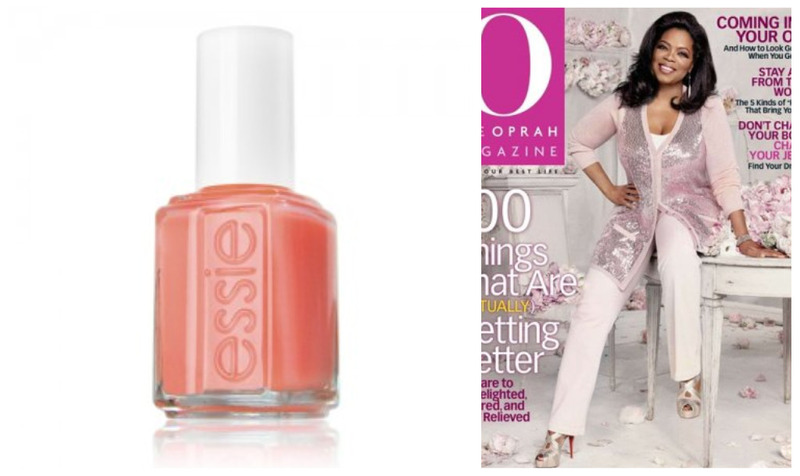 Jelly isn't coming out just in footwear either but in nail polishes! Butter London's newest collection is titled appropriately 'Jelly' as the nail polish is sheer and meant to layer. One coat for subtle, 2 for color and 3 for pure color. You can also layer over each other and make new colors! Another jelly for your wrist is Michele's 'Tahitian Jelly Beans' watch. 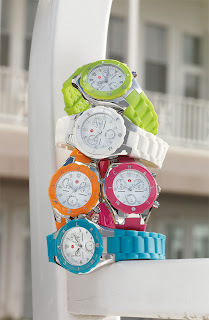 Every woman should have a white watch for spring and summer but personally I am a fan of the lime green. Something unexpected always gives an outfit interest. Chanel is doing it to me again, releasing a new limited edition black and gold series. This collection was shown on their 2010 Paris Ready to Wear runway and now at the top of my shopping list! The nail polish also has a dueling eye shadow that is perfect for sultry eyes. 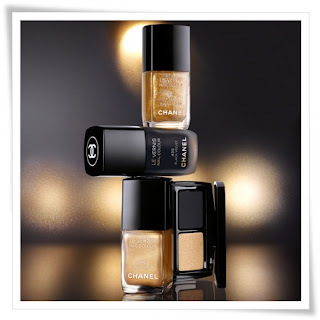 A dramatic change just in time for summer nights is exactly what we needed, thank you Chanel! 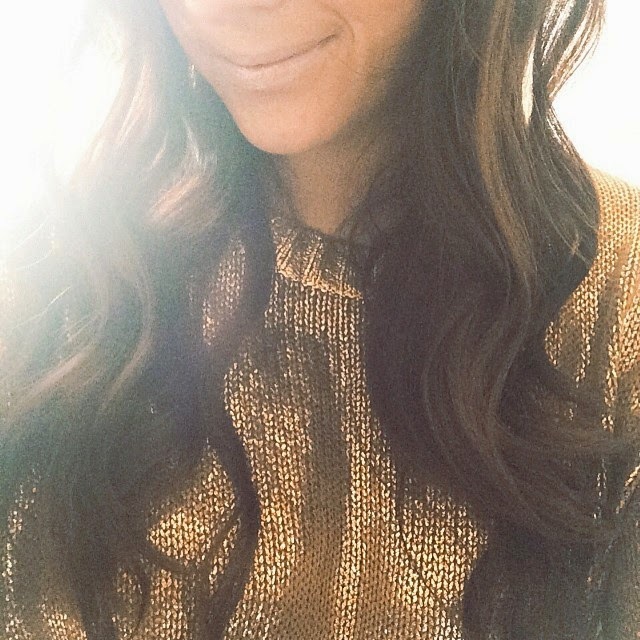 A lot of women would agree with me that half the stress of dates is deciding what to wear. Whitney Port is one of my favorite fashion inspirations because she is always willing to take a risk while highlighting her assets. In a daytime date, Whitney wore a simple dress that was eyecatching with color and kept everything simple. Not that I am any dating expert but in personal experience, guys get easily distracted so keep the accessories minimal. Urban Outfitters is a great place to find bright everyday dresses that can be dressed up or down. While heels typically are the perfect date accessory it is best to keep them for night rather than daytime. Daytime dates may be a bit more playful and adventurous and last thing you need is a trip to the doctor in result of twisting your ankle. I love Whitney's short ankle boots, try something urban like Whitney or a simple sandal would be great too. 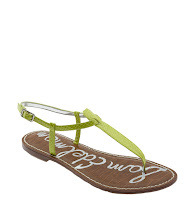 I love Sam Edelman's Gigi sandal that comes in a array of colors and very comfortable. Just two more days till his gorgeous designs arrive on the shelves and I hope to not be disappointed like I was by Jean Paul though with the look book preview I have already marked a few favorites. We've come a long way from the seventies days of head to toe tie dye and parties where you created your own shirts. But just like the rest of fashion, tie dye is making a come back. The Olsen twins have made quite the child star comeback from singing along videos to their newest endeavor, Elizabeth and James. Elizabeth and James, named after their parents, has created amazing pieces that have great tailoring and draped fit. They take classic pieces but have a spin. In a down time during work I spotted their Overdyed Drape Back Jersey Tee and my obsesesion with tie dye was ignited. When looking for tie pieces stick to classic shapes. This is a trend that you don't want to over due or you'll look dated. 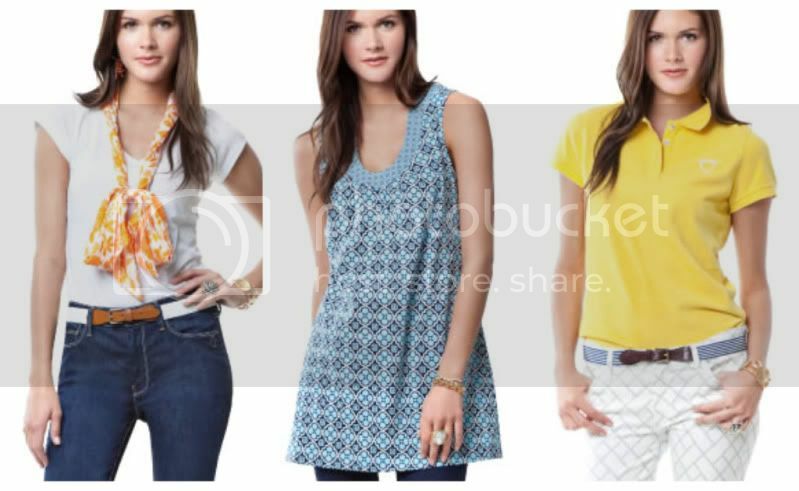 Some great pieces are coming from Rebecca Minkoff and Tory Burch. Tory Burch whole new collection is focused on blue tie dye. Both of these designers are staying true to sticking to one trend though Minkoff can't resist a few studs here and there but who can blame her? We all have experienced impulse shopping. It is why stores have all the trinkets in the cashier waiting line. It's the last minute thoughts that you see, love, must have. I just experienced this in record time via twitter. Thank's to DVF's quick tweet of the introduction of their iPhone cover, I saw, I purchased in less than 3 minutes flat. I recently have had an incident with my iPhone front screen shattering and every comment I receive is "you should have a case on it". Well personally while its not always practical, I am more about aesthetic than function and thanks to DVF I can have both! The case was created to promote DVF's newest iPhone application where you can find runway updates, DVF video, shop finder (HELLO! best feature when in a new city), exclusive products and music. Successful companies have caught on that this is a great new way to connect to their consumer and just gives me another excuse to love my iPhone.